The agony of an eagle targeting its prey right from the top is an interesting act. The eyesight, body balance as well as the aim it carries is a perfect example of patience, if you could get a sight of it. So, I found myself in that frame of time luckily staring the mesmerizing act in an important day for Nepali Cricket fans. 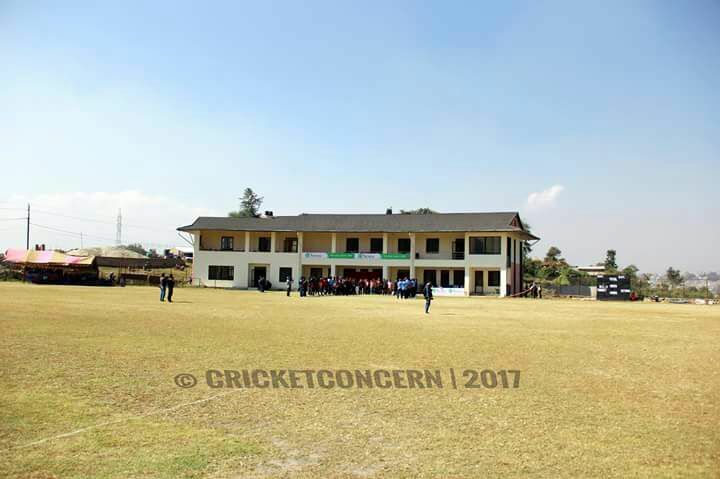 The place of the act was Mulpani Cricket Stadium where after almost a decade of following cricket regularly got recognized. I was among those happy faces that got a glimpse of the image in the daydreams long time ago. I represented a millions of young thought s and positive vibe which we carried, since we played in our veranda with a coconut bat striking ball of socks holding a strong stone inside it. The stone, although wasn’t stronger than our determination. We grew up listening to the commentary in the FM signaling AIR (All India Radio). The matches provide us more stamina to love this beautiful game. The era of supreme fast bowling of Pakistan, West- Indies, Australia that was enjoyed on the FM reverberates still in some portion of my ears. Similarly, the dominance of India with the best batting line up till date, attacking openers of Silence as well as Pakistan and classy English middle order filled our 90’s with such great memories that turned every one of us as a pure follower of this beautiful game. Cricket has done a fair bit of healing among the Nepalese crowd. 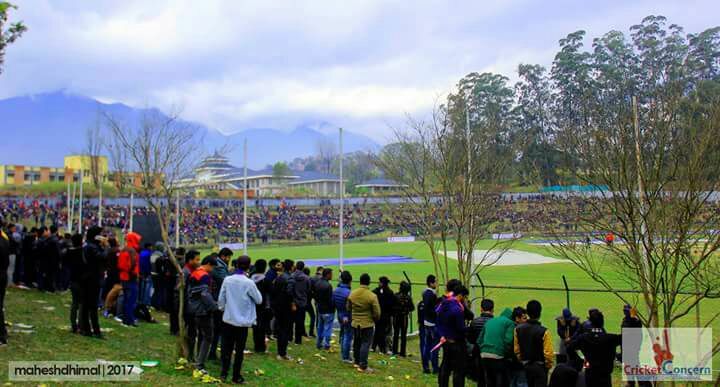 The joyous fans would count every good day as a part of history for Nepali cricket. It’s much more than a game; it’s a feeling of madness. It’s a holy thing once you have a flag and national colors on you here in Nepal. There were few moments in life when we had feelings of tears in the recent past. The greatest joy of them all was the moment when Sharad Vaeswarkar led us into the doors of our 1st ever world cup. After that, world recognized our talent when we beat Afghanistan in the penultimate tournament of the world. During one of the matches when the current vice captain of Nepal smacked a charismatic sweep over midwicket, most of the commentators believed in the talent we possess as a unit. After that everything fell apart unless the current prince of Nepali Cricket and the skipper of U-19 himself, Dipendra Singh Airee stood above all the odds. Although, it was a heart breaking performance for him he won the hearts of most of the people watching the game. The National skipper couldn’t control the sea of words in his brain and he drowned many of the cricket fans and lovers with an article entitled “Who cares?” in his website www.paraskhadka.com that stated the real picture that went through Nepali cricket at that moment. 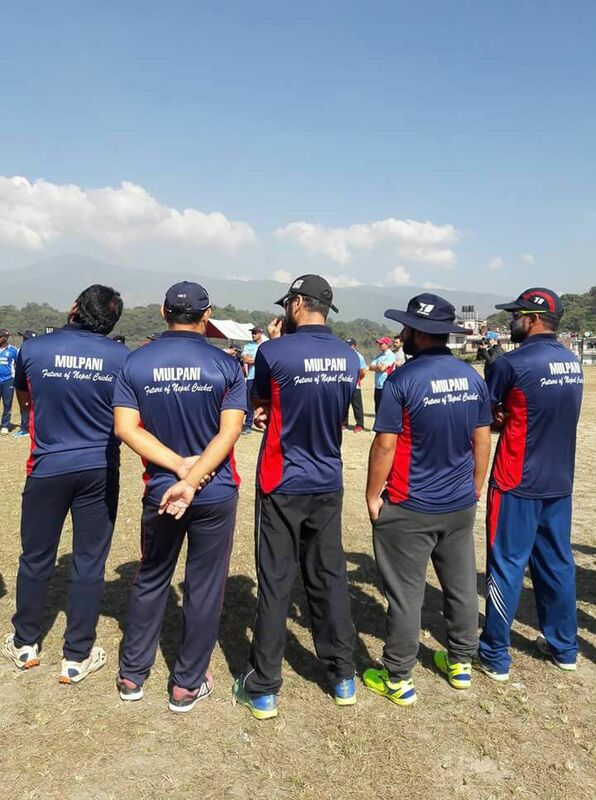 It really opened the rebirth of Nepali cricket with passion bamboozling inside players, management, well wishers and supporters of Nepali Cricket. This resulted in an excel in the performance of the young guns as Sandeep Lamichhane, Dipendra Singh Airee, Shahab Alam, Pawan Sarraf and Asif sheikh climbed to the next level. The consistent performance from the young guns helped them win the Acc U-19 Eastern Region. This provided them a boost to beat Bangladesh U-19 in one of the practice matches with their captain stepping ahead. That was a start for something extraordinary which Nepalese crowd could barely think of. The top strike rate of Anil Kumar shah, most wickets by Sandeep Lamichhane with the best strike rate as well as 2nd highest wicket taking performances ignited the spirit back into the dressing room of young guns of Nepal. They prepared themselves one step ahead and prepared their heart out for the ACC U-19 Youth Asia Cup that is currently being held in Malaysia. The 1st match was a nail bitter with Nepal posting a modest of 181 after rain affected the 1st innings after 40.1 over. Bangladesh began the chase properly but lost wickets at regular interval. The game was moving along swiftly at 104/3 after 26.6 over for Bangladesh. Excellent 2 wickets in the middle stage and last quarter nearly took the game away from the Tigers. The Rhinos of Associates nearly made it all over but the tigers held their nerves and won the match right out of the pocket of the Nepalese team. The game was lost by Nepal in no time yet after playing the most courageous match against a test playing nation. Then came the match that everybody thought to be one- sided after the batting of Nepal was deteriorating as per the tournaments was progressing. Nepal started like always slowly and lost their way in the middle. Nepal’s skipper and a flamboyant batsman Dipendra Singh Airee steeped up and played a captain’s inning under pressure. He smacked 88 runs and held the innings that was going no where before his arrival at the crease. It was not only the scene but also the things that followed in the 2nd innings shook the Indian media. The team which had a long history of producing heroes and future stars like Yuvraj Singh, Mohammed Kaif, Suresh Raina as well the most stylish batsman of Modern era Virat Kohli were left in no man’s land by the under rated Nepalese u-19 team. It was the same guy who accepted the challenge of the 1st innings back in the 2nd innings of the game. The captain of Nepal u-19 lead from the front with the ball as well and sealed one of the best victory in the history of Nepali Cricket. Nepal won the match by 19 runs and got the pat on the back from the legendary Rahul Dravid who is currently the head coach of U-19 team of India. I still remember young Indian players shading the tears with the God of cricket, Sachin Tendulkar after winning the world cup 2011. 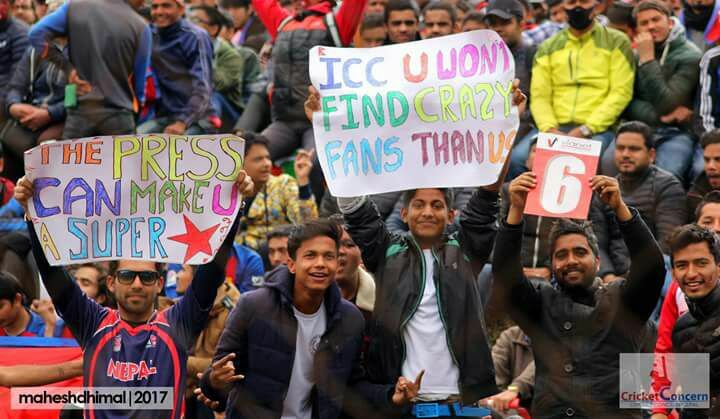 A lot of cricket fans all over the world even from the Nepal felt the emotions of the moment. It was exactly the same feeling that we shared, being such huge followers of Nepali Cricket. It was not over there, as Nepal needed something extraordinary to qualify for the semi finals of the tournament. They were right at the exit door and needed to perform their heart out. Even the rain or wash out would do a lot of damage to their journey. They needed to beat the host convincingly and they did exactly that finishing the game under 6 over and making their way strongly back into the tournament. The damage was done by their lucky charm Sandeep Lamichhane who broke the back bone of Malaysian batting line up. He began the damage after Dipendra Singh Airee started the fire in the house for Malaysian team. Sandy, as he is popularly known in Nepal, flourished the ground with his magical spell of 4.3 over that went for just 8 runs and picked up yet another five wickets in a game that mattered the most. That was not just what Nepal wanted in the date of November 14 (as it will be the most remembered date in the near future), It needed a big performance from Bangladesh in order to help Nepal to qualify for the semis. The net run rate of Nepal was below par and as it was the day of Nepalese Midas everything they thought eventually turn into gold, Bangladesh won the game convincingly to exit the current champions India out of the tournament. It’s not just about the place in the semis, it’s about a team that was under rated and always captured in a negative moment of time making it out in the list of top 4 with the test playing nations as the best team in Asia. It’s about the dream of millions of its supporters who have hardly seen their players in the television or live broadcast like any other powerhouse they have joined today. Its about the sacrifice that the players have made choosing to represent their country despite of all of their friends walking away from the nation in the competition for a better life abroad. 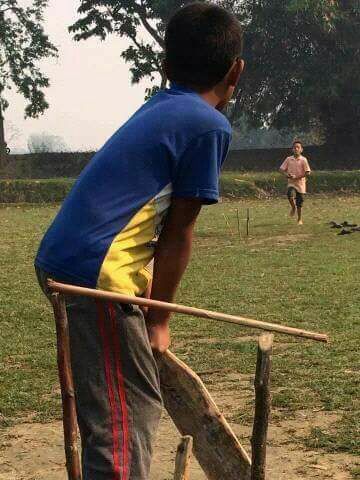 It’s all about keeping the faith of a young child alive who once in his young age sees himself in front of a mirror with the cricket bat in his hand in a remote village of Nepal, preparing himself to raise his bat after his maiden century kissing the old black cap. Finally, it was a motivation for a writer who once was in day dream to represent his nation leaving all his family responsibilities. A writer, who is now drowning you all in the sea of words and the same writer who saw the drastic moment of eagle meeting up its target.